Your Celebration Starts here! Create a beautifully designed, mobile-friendly wedding website that will be a joy for friends and family to visit. Collect Gifts with a Fully Featured Gift Registry, provide RSVP details, post photos to your blog, and share important information with ease. It's all about the Bride and Groom! 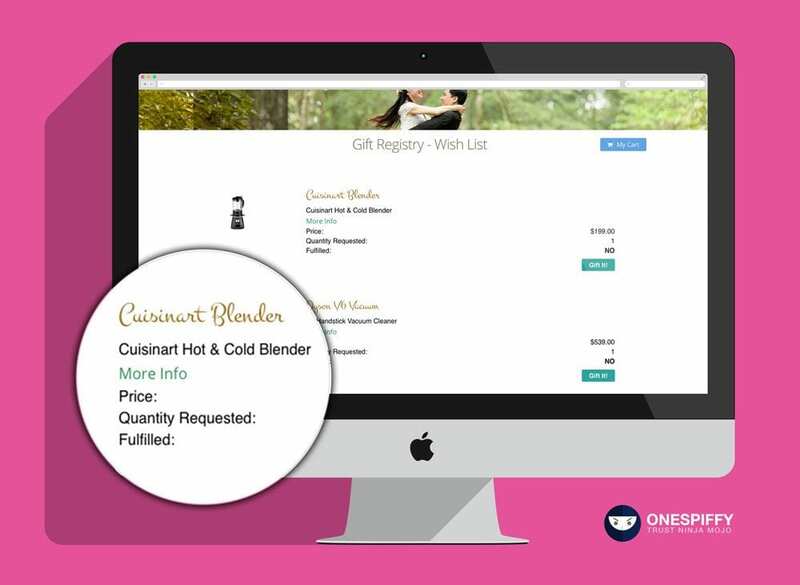 Big & Beautiful with Drag & Drop UX using Spiffy Droplets interface - no coding required and a Gift Registry! It's all about the Couple! 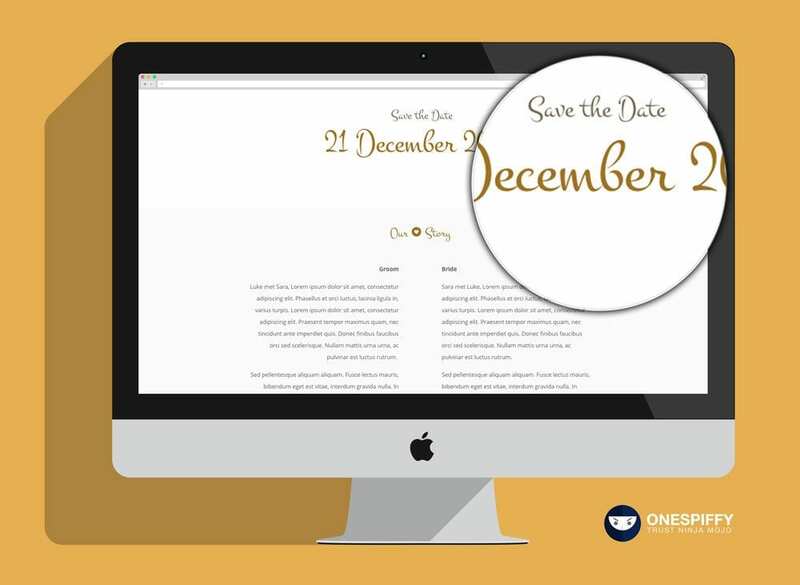 Create a beautifully designed, mobile-friendly wedding website that will be a joy for friends and family to visit. Collect Gifts with a Fully Featured Gift Registry, provide RSVP details, post photos to your blog, and share important information with ease. It's all about the Bride and Groom! Gift Registry Cloudlet App allows you to add your very own gift registry to your Cloudlet – without a third party subscription or app - no additional fees, cost or service charges. Unlimited quota of gifts or gift requests. The best wedding websites have beautiful galleries. With the Simple Wedding bundle you can quickly create an album chronicling your lives together. 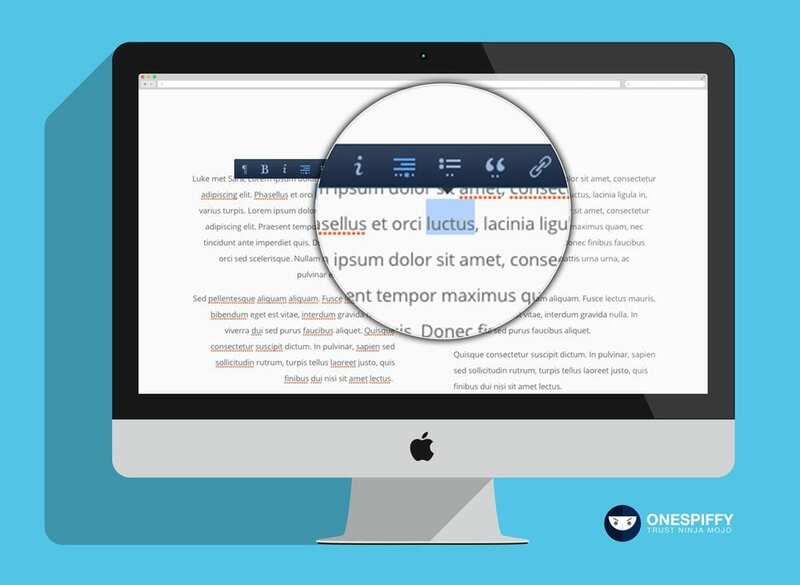 It's never been easier to share photos and videos with friends and family. 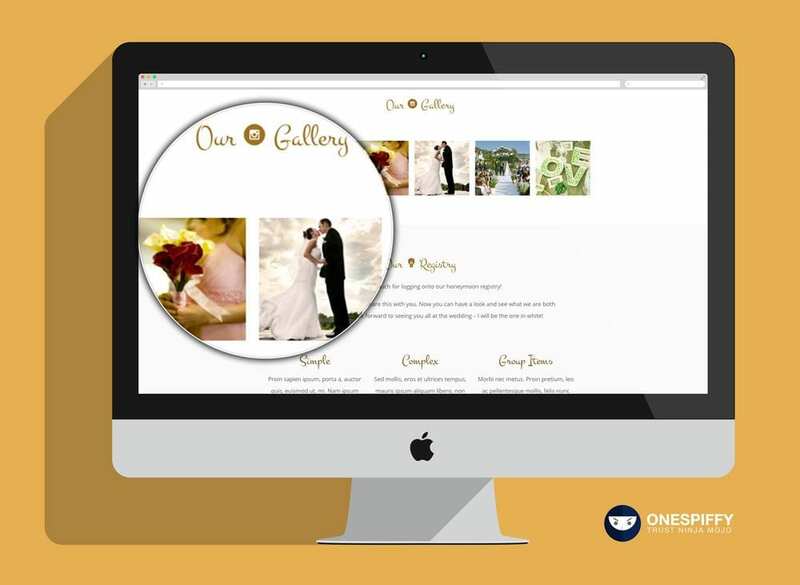 Customise your Wedding Site to reflect both of your tastes. Edit Colours, change Images and have fun together - creating a unique cloudlet expressing your love!